Xiaomi has unveiled the new Redmi 7 in China, which sits just below the recently launched Redmi Note 7. The new handset queues a similar design from its older siblings and also provides updated hardware as well. The company also launched the Radmi Note 7 Pro for the Chinese market, which is similar to the launch in India earlier this month. 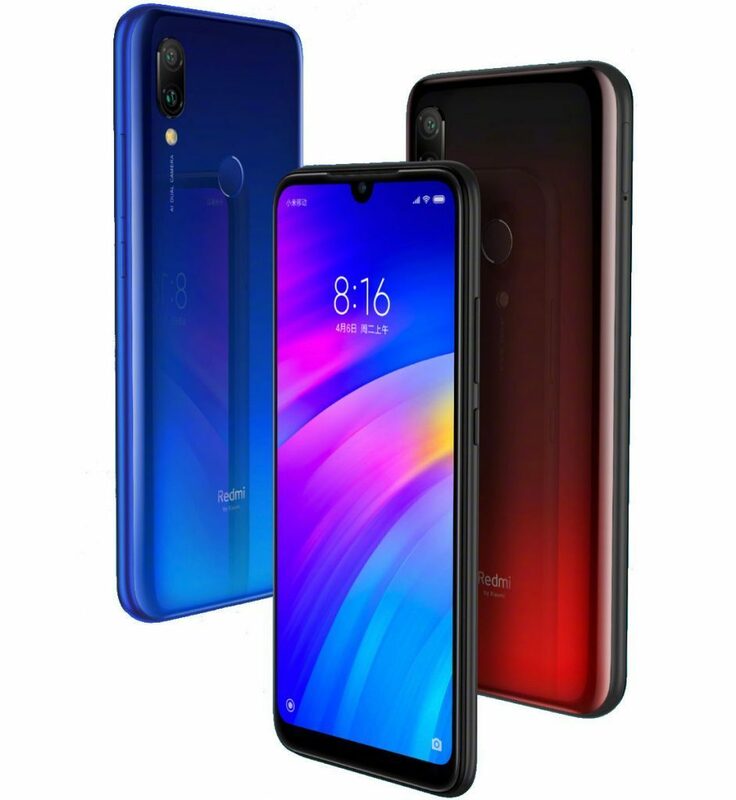 Redmi 7 has a 6.26-inch HD + (1520x720 pixels) display, with 19: 9 aspect ratios and 84 percent NTT color gamut with Gorilla Glass 5 protection. The Qualcomm Snapdragon 632 processor on the inside will be offered in 2GB, 3GB and 4GB RAM options. The handset will come in three storage variants, which include 16GB, 32GB and 64GB, all of which will have the option to push storage. In the camera department, there is a dual setup with 12-megapixel primary sensor and 2-megapixel secondary sensor. The front has an 8-megapixel camera and the phone will be lowered with features like AI smart beauty, selfie timer, face unlock and much more. Other features include 4G VoLTE, Wi-Fi, Bluetooth 5.0, GPS / A-GPS, Infrared (IR) blaster, a 3.5mm headphone jack and 4,000mAh battery. The handset will run on top of Android 9 pie with MIUI 10 and will be available in three colors - Dream Blue, Charm Night Red and Bright Black. The company claims that Redmi 7 also has P2i splash-resistant coating. The price of Redmi 7 is 2 GB RAM +16GB for CNY 699 (Rs 7,100 approx. ), 3GB RAM + 32GB for storage variant, CNY 799 (Rs 8,200 approx. ), 4GB of RAM + 64GB storage option and CNY 999 (about 10GB Rs 10,200).